This short video demonstrates why the Threadybuster Lure is my number 1 choice when fishing soft plastic vibes, and a proven go-to lure in many different fishing situations. 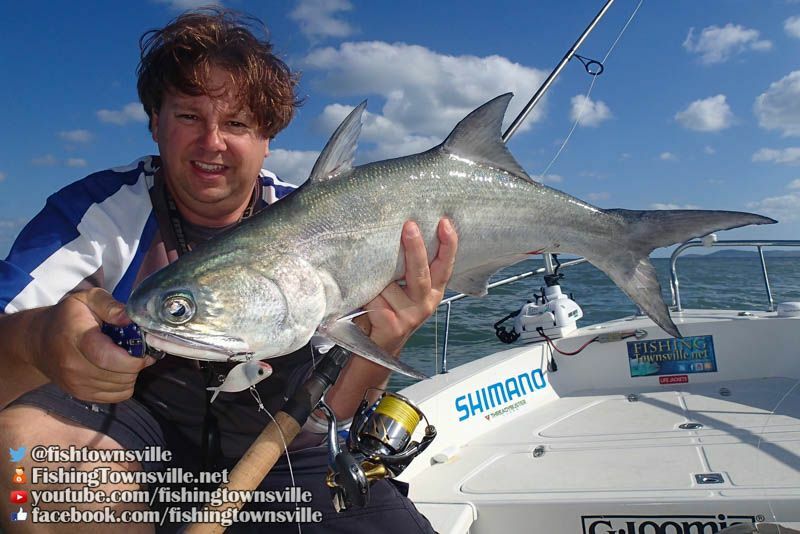 Micro Jigging can be an enormous amount of fun, but at $15-20 a pop, Mackerel and other toothy critters can make this a very expensive exercise. Here is a method I found to make a 15g Micro Jig for less than $5. 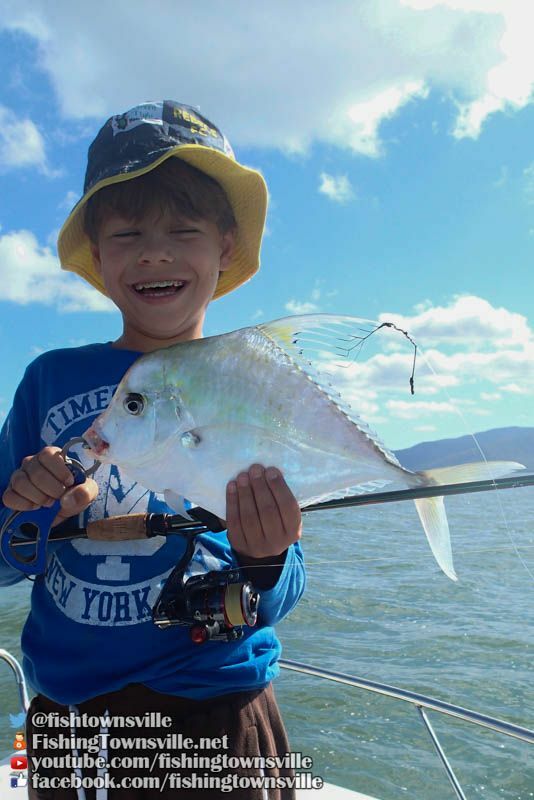 We are just coming to the end of the September School Holidays, but due to family circumastances we only had two very short opportunities to get out for a fish. On Tuesday I took Lachlan for a run out in the bay, and on Wednesday it was Sebastians turn. 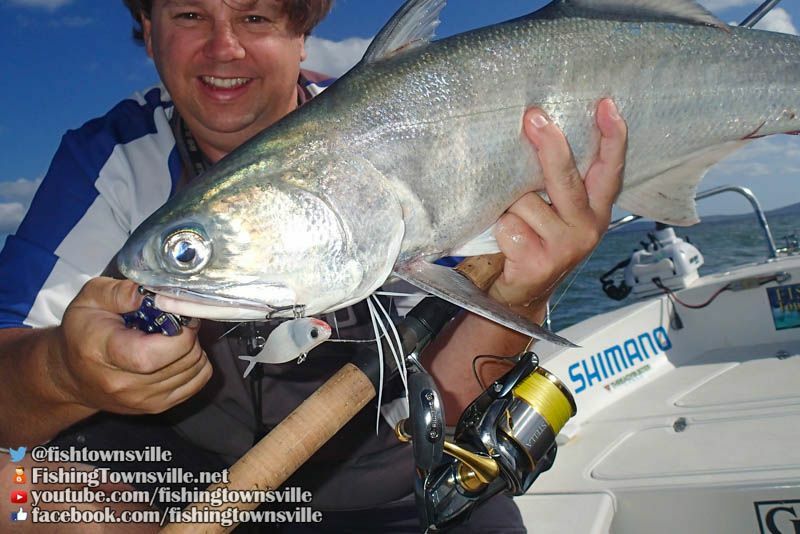 Both days were very fruitful, with plenty of Trevally, Queenfish, Grunter and Barra to be caught. We fished Gulp plastics and Threadybuster lures to great success. The video clips below show the highlights from each day. Highlights clip from today. Lots and lots of Trevors, but the bigger fish were there. Highlights clip from today. A few high flying Barra... and some shocking net antics! Good fun though. Thanks for all the positive feedback on my video clips, it takes a long time to cut these together. 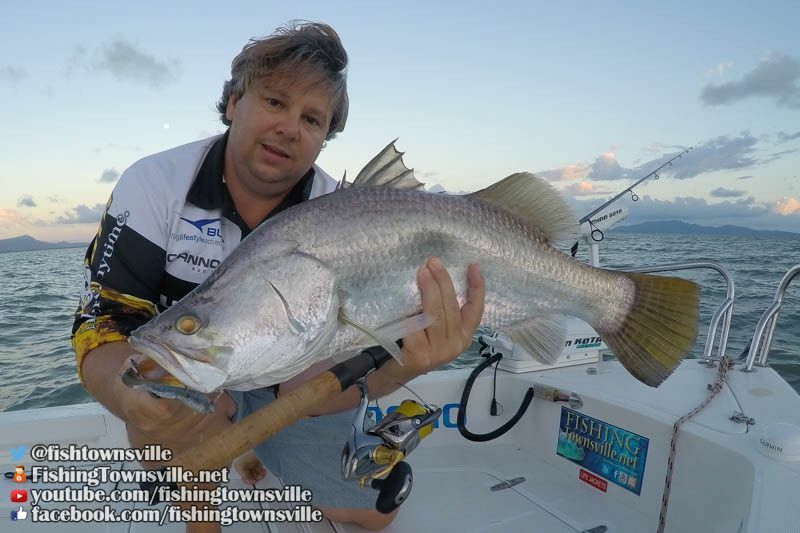 I was extremely lucky over the Easter long weekend to get 4 trips on the water and catch some 18 Barramundi from 63 to 85cm. 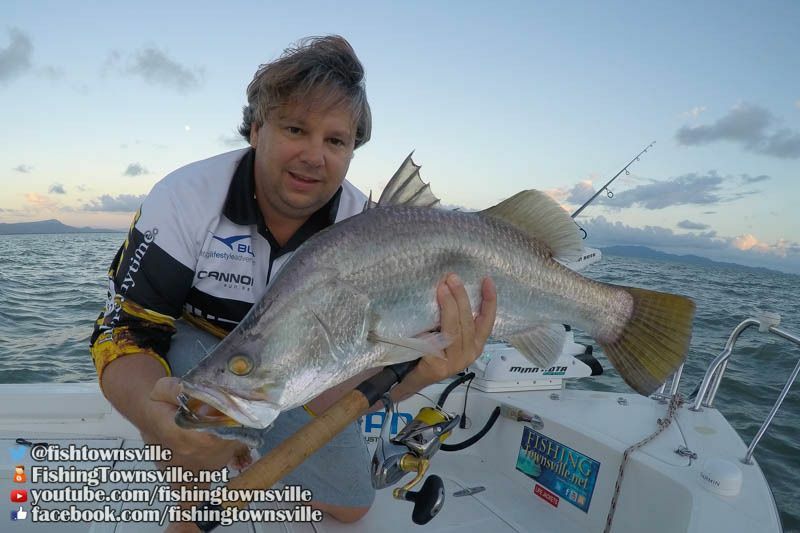 If you have been following the Fishing Townsville Facebook Page, you will have seen the numerous photos and videos. But I thought I would share some the techniques that thoughts about what produced the goods. 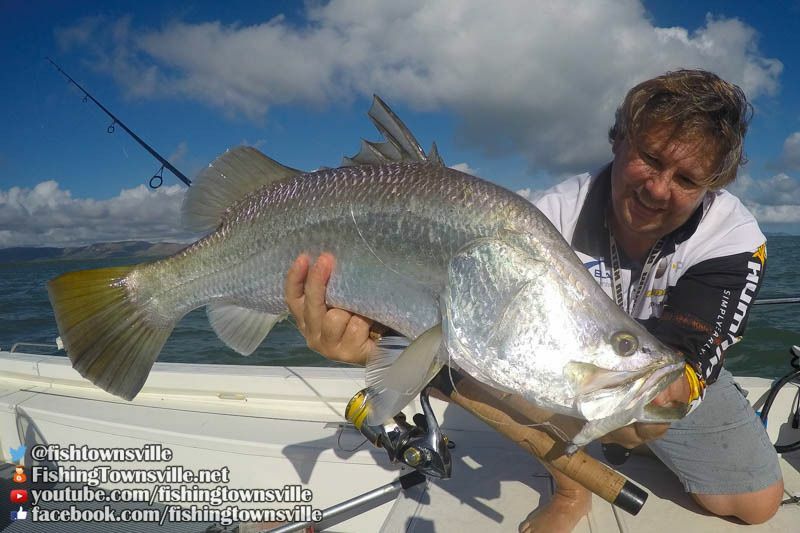 Cleveland Bay has a pretty good reputation for producing top quality chromed up saltwater Barramundi. 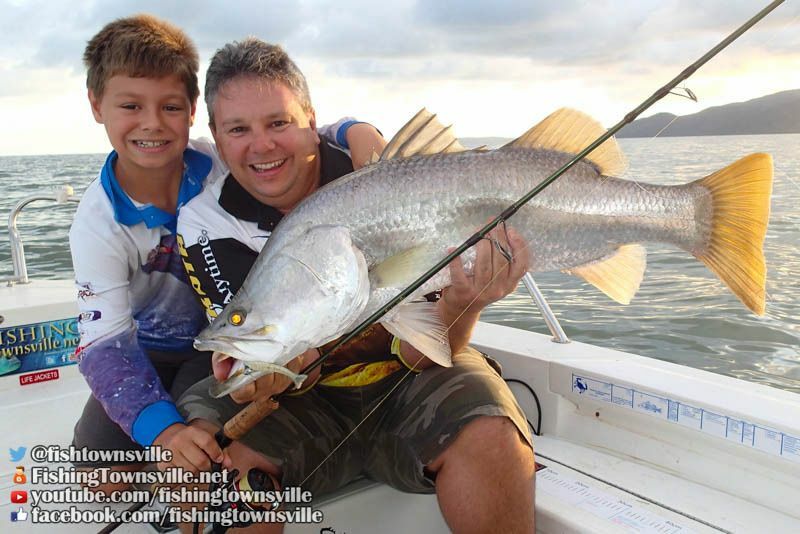 Tides in excess of 3m present anglers with the opportunity to fish the mangroves that line the bay, all the way from Ross River to Cape Cleveland. 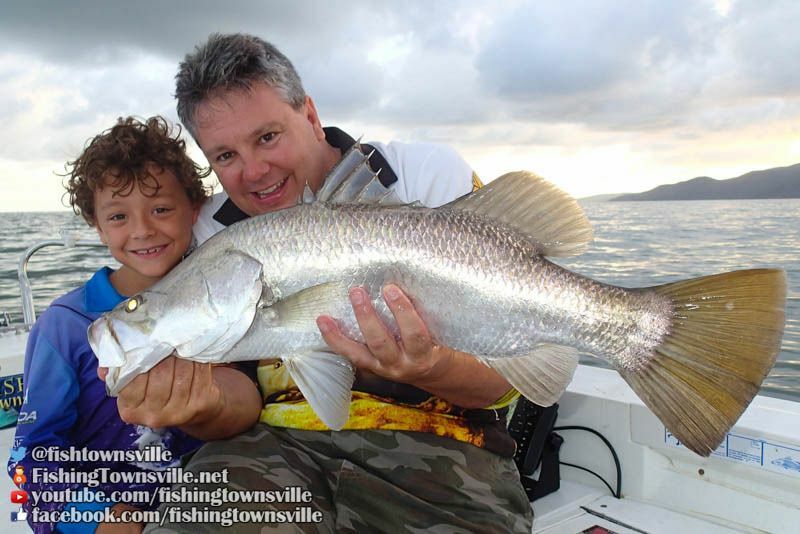 In fact, the rock inside the Cape, and the Mangroves along Long Beach, are frequent produces of big Barramundi. 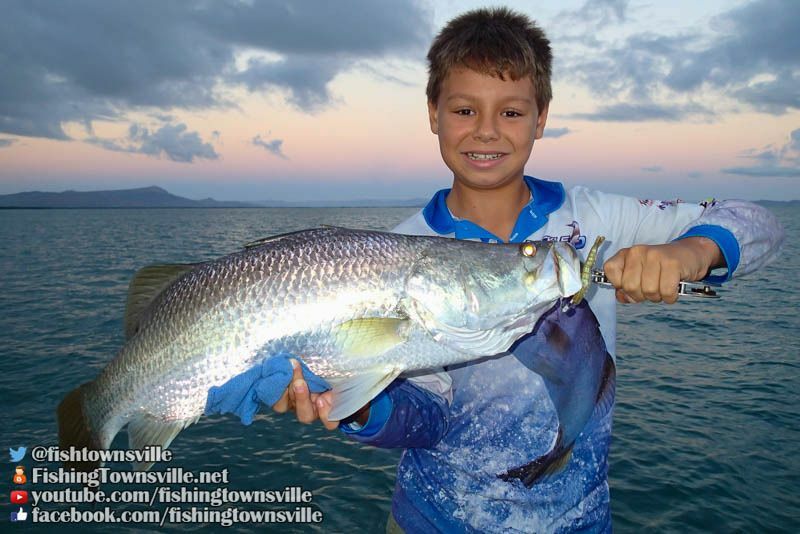 On the top of the tide the bait gathers deep in the mangrove roots, and Barramundi can be heard boofing as far as 20 or 30m back. 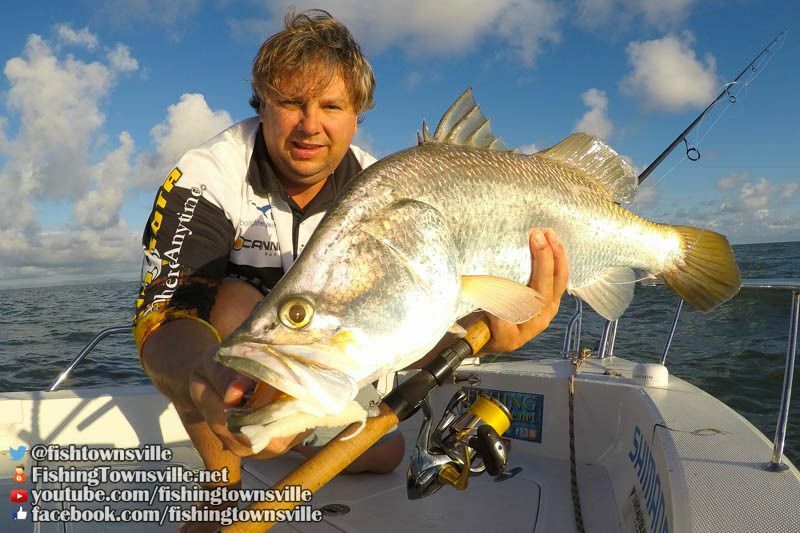 As the tide falls, the Barramundi follow. And for a short time fish can be targeted as they head out of the trees and back to deeper water. But care must be taken not to get stuck on the flats with the falling tide. It can be a long wait for the water to return. However, while the tide is low, the fish need somewhere to hide and feed. The bait too has to go somewhere. My theory is that the bait and fish hang in the deeper water off the flats, anywhere a bit of a drop off, hole or structure can be found. These same locations will also hold Grunter, Fingermark and Salmon at various times. 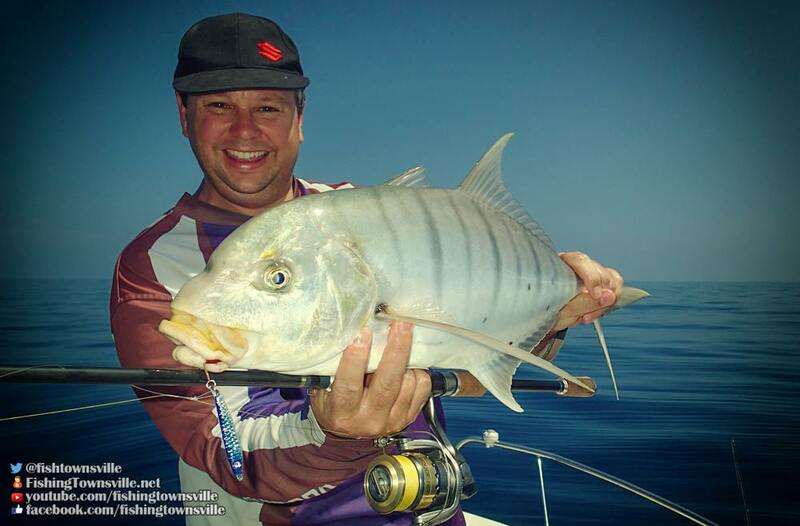 And pelagic fish such as Trevalley and Queenfish will move through at different stages of the tide to chase the bait. Even Mackerel will move into these locations when the water is cold enough. 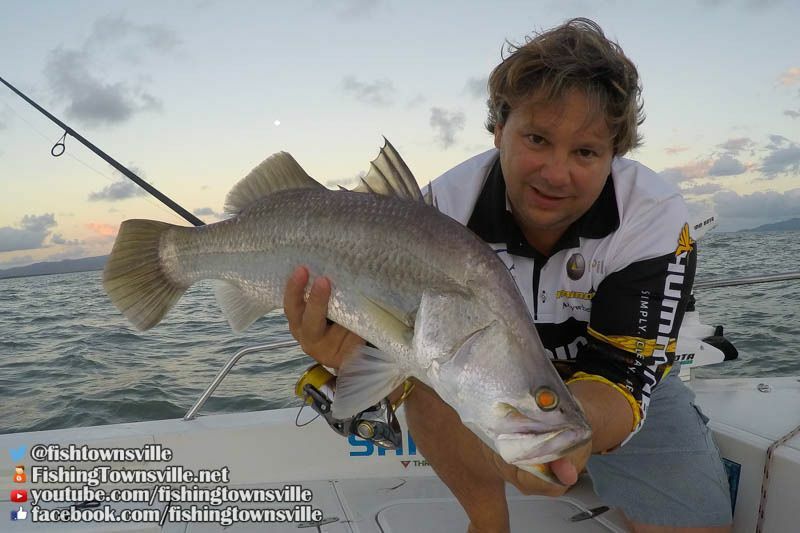 So if you know of a good bit of bottom anywhere the Bay, it might be worth hitting for a Barramundi at the moment. Something that I have found effects the fishing at these locations is water quality. Dirty water seems to send the fish off the bite. Maybe they move out deeper where the water remains clean. 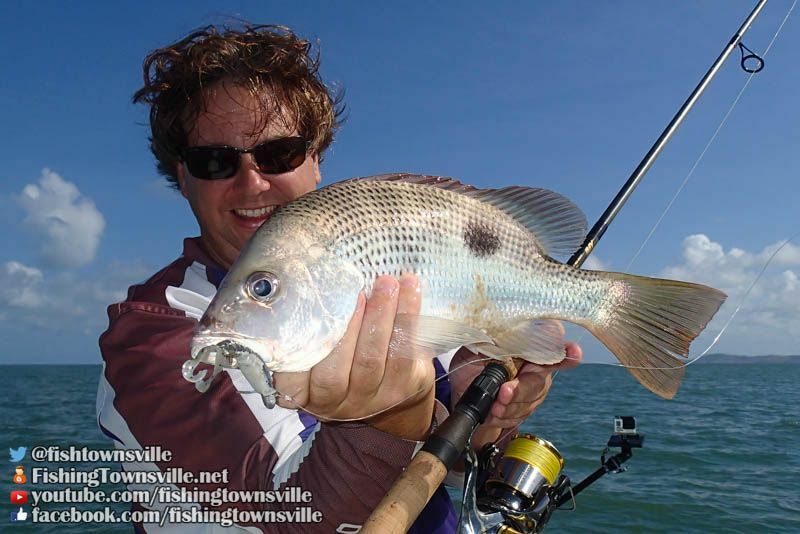 But due to the shallow water of the bay, any wind chop quickly stirs up the bottom and sends the water brown. The wind can also pick up a lot of seagrass of the bottom that becomes suspended in the water. 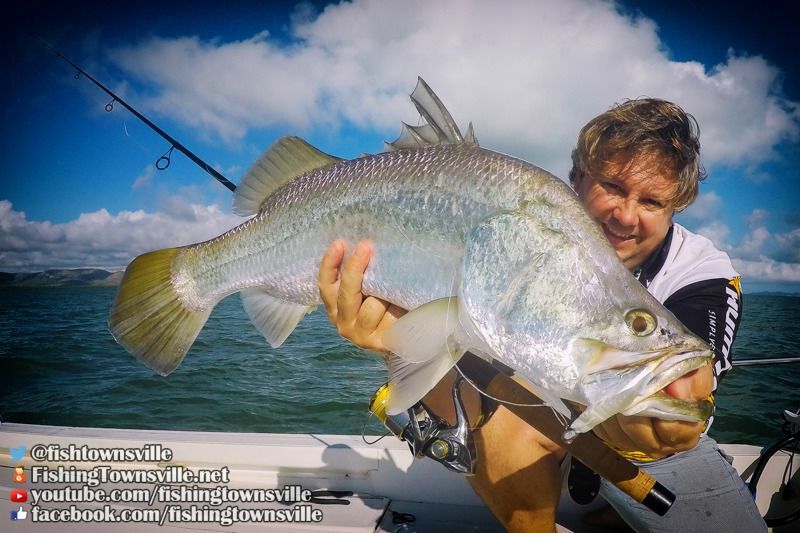 The seagrass can create havoc for lures, and the fish just don't like the muddy water. Northerly winds are definitely the worst. 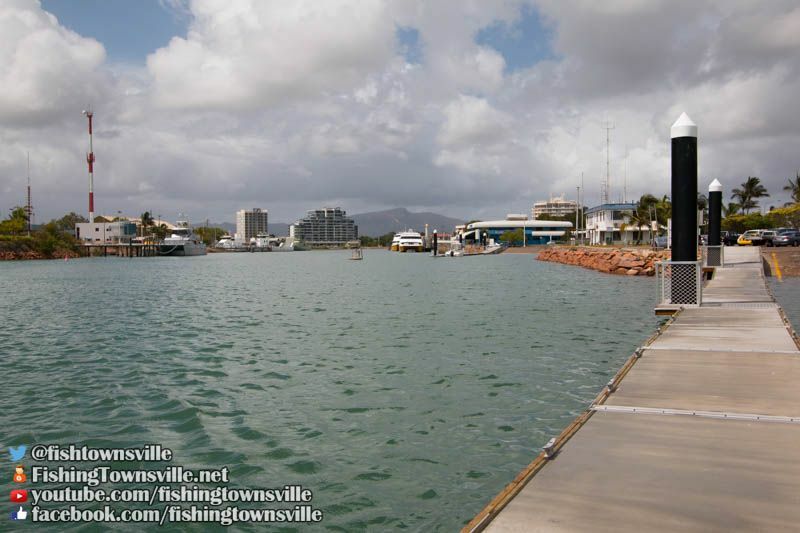 While it would be easy to assume the ocean is to the East of Townsville, the bay actually faces more North, so these Northerlies push directly into the bay and over the flats. On the flip side, Southerly winds are not too bad. And even 15knot winds can create calm conditions in some areas, and the water generally remains cleaner. Obviously calm conditions with nice clean clear water are ideal. Once you have a location that might hold fish, its worth using the Side Image of a good sounder like the Humminbird to try locate where fish are holding. 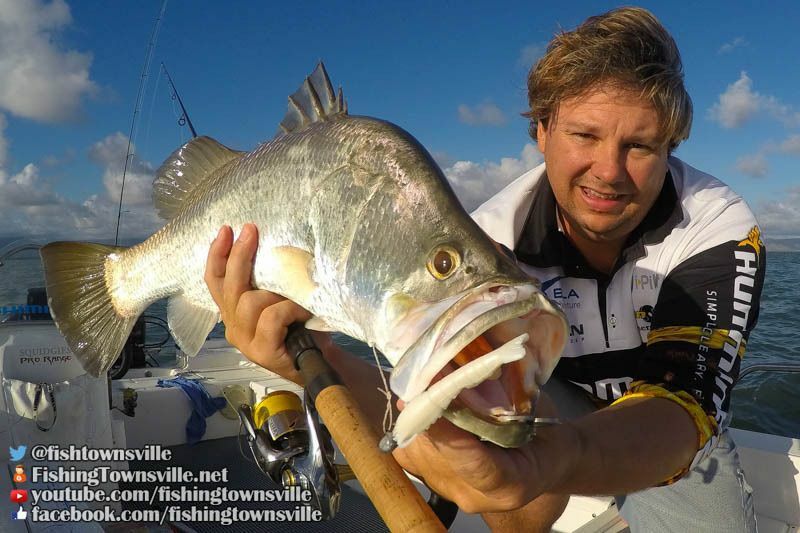 Often the Barramundi will literally 'stack up' in a very small location. This might be against a ledge or tight to a log on the bottom. I always turn the motor off 100m or so shy of the mark and use the Minn Kota electric to move in and sound around quietly. Sometimes these spots are in less than 2m of water, and I like to make a quiet approach. 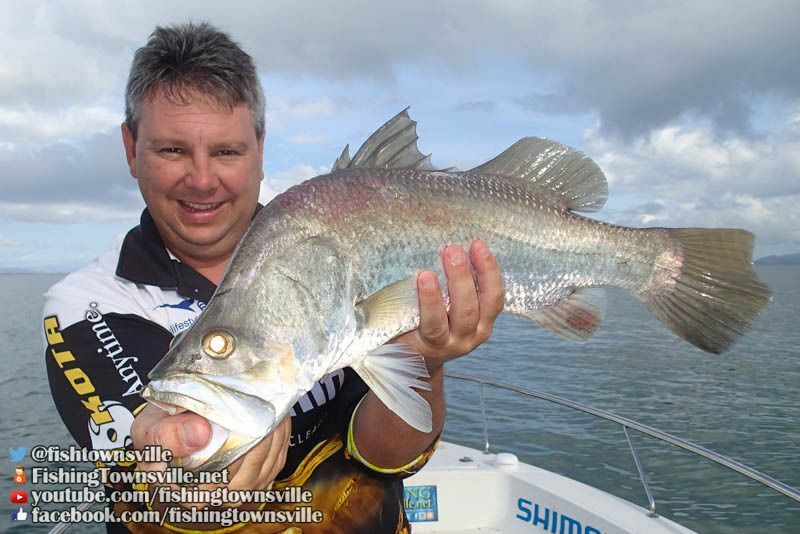 Once the fish are located, mark them with the GPS so you know how to position the boat. 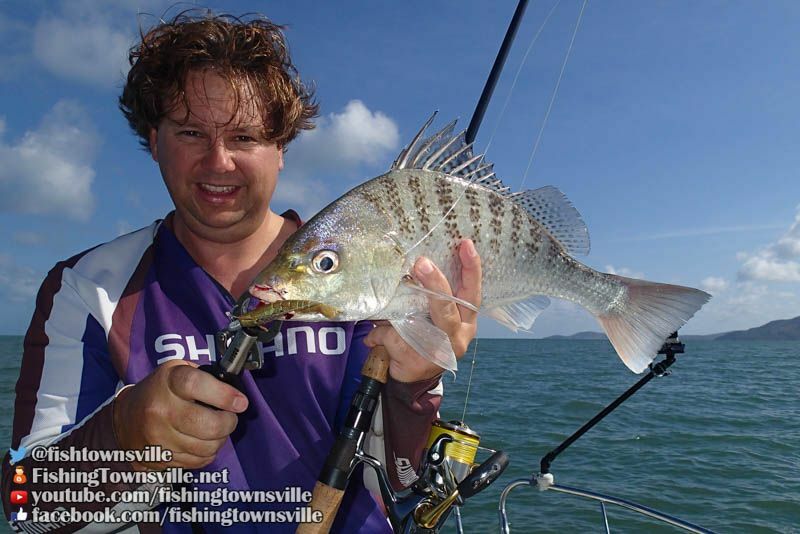 The boat should sit about 20-30m on the down-current side of the fish. This is very important for effectively working the lures. The addition of a iPilot electric motor will make this very easy. Anchoring isn't really possible, as this would mean dropping the anchor right on top of the fish to correctly position the boat. Sometimes I start by 'spot locking' the boat a little further away, and slowly move closer and closer until the cast comes within rang and fish start biting. 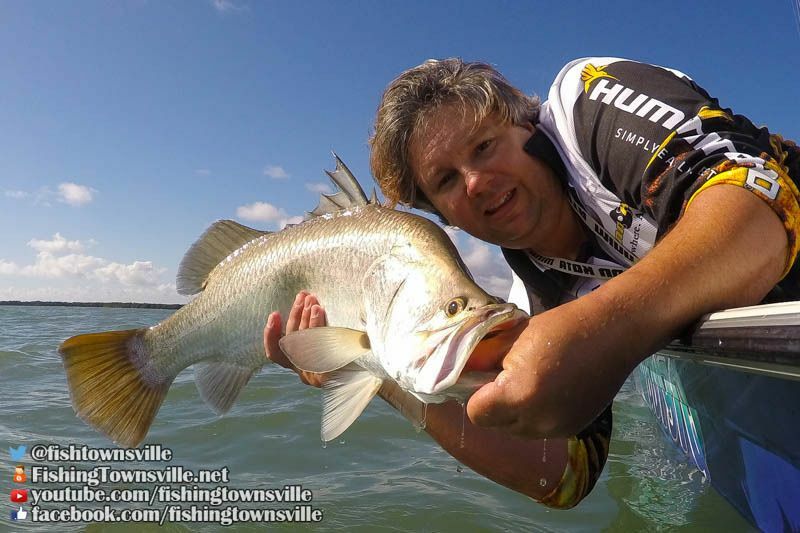 Fish like Barramundi will almost always face into the current. This minimises the amount of effort required to run water over the gills, and the fish can just sit and wait for food to come to them. 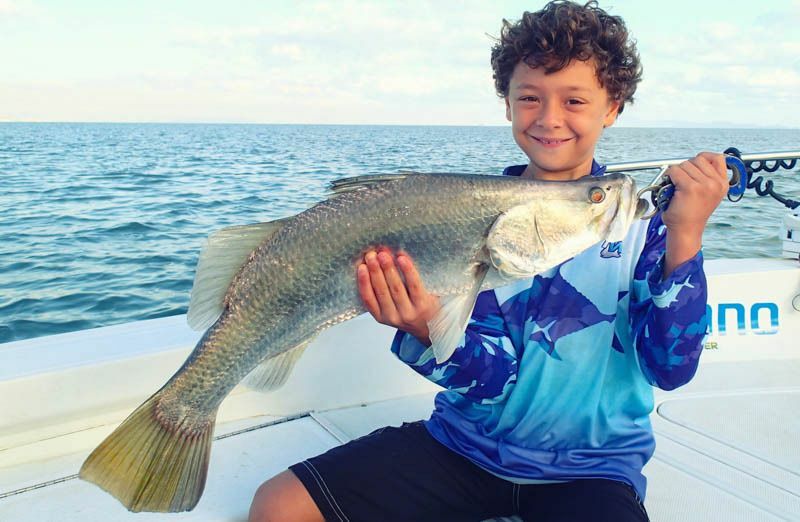 So it is critical that the boat is positioned behind the fish, that way a cast can be put forward and the lure worked back toward the fish into the direction that they are facing. 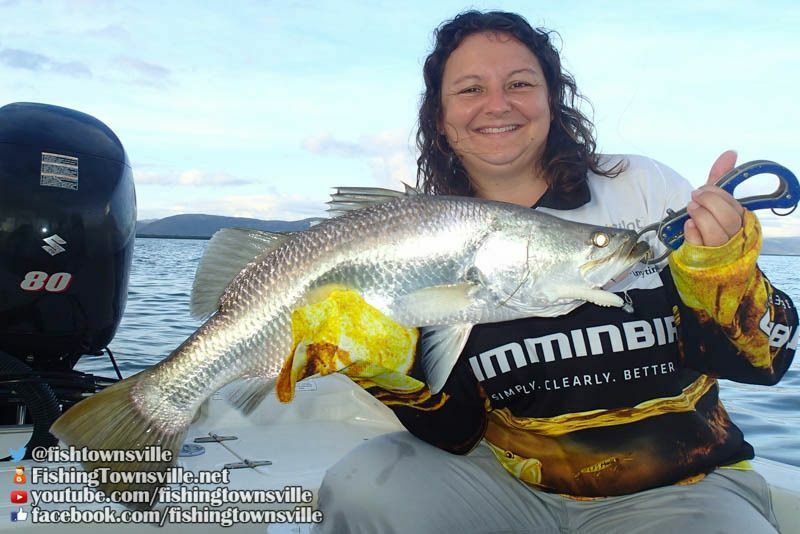 A lure brought from behind a fish will often do nothing more than spook a Barramundi. 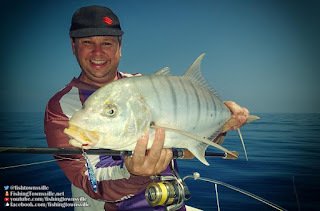 Honestly if the boat is positioned well, and you have the right lure and presentation, a bite will often come on the drop before the first turn of the handle or twitch of the rod. Throw the lure as far forward of the boat as you can. Allow the lure to naturally sink all the way to the bottom. While the lure is sinking it is critical to stay in contact with the end of the line. As the current is coming toward you, this may mean steadily taking up the slack as the lure sinks. But let it get to the bottom. 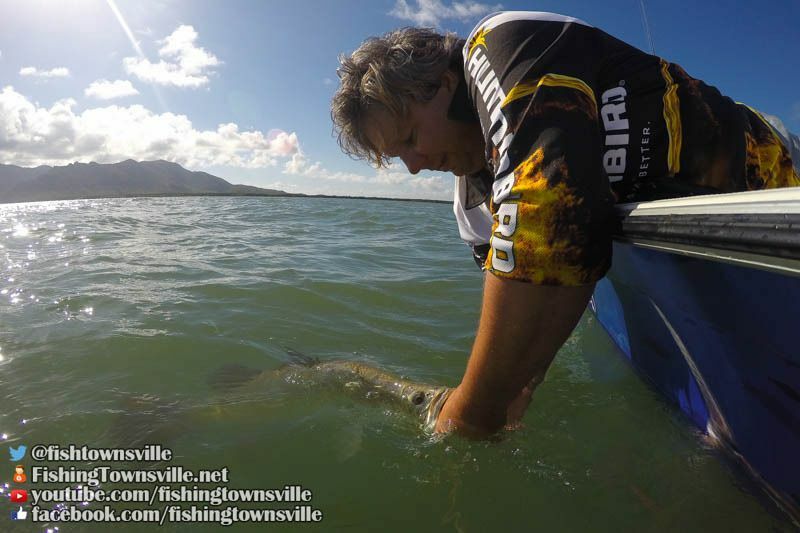 A couple of twitches of the rod will then lift the lure up off the bottom by about a meter and back into the current. Again allow the lure to sink while taking up the slack with the reel. Repeat this process all the way back to the boat. Don't give up until the lure is right under the boat, fish will hit from directly beneath the boat. 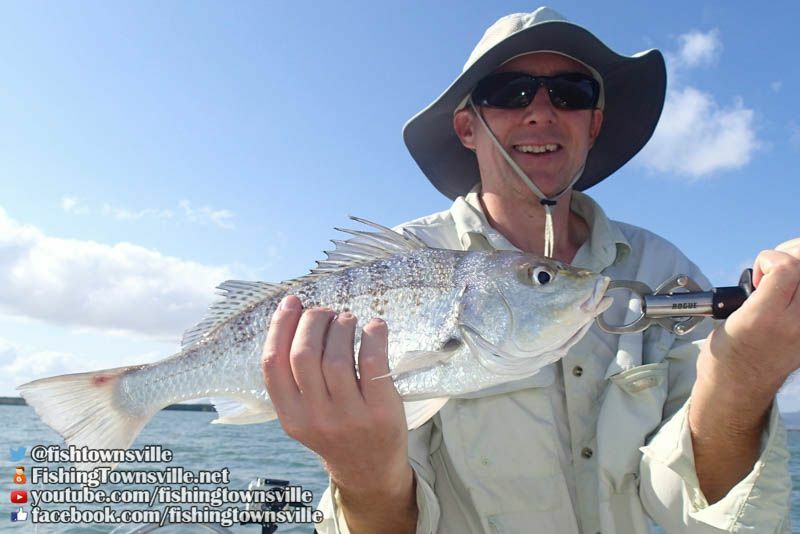 Soft plastic lures are definitely best for this type of fishing. You need something that will get to 3-4m pretty quickly, and stay there easily. Bibbed lures will really only achieve this on the troll. Soft plastic vibes such as the Threadybuster or larger GIMP lures are ideal. It does not hurt to spice them up with a little S-factor either. 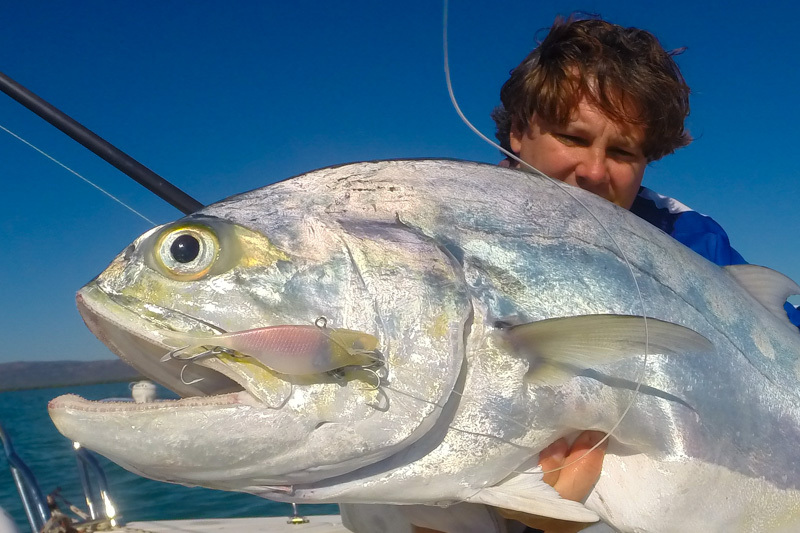 They cast well, sink fast and attract attention all the way back to the boat. But lately my left elbow has suffered a lot from a 'tennis elbow' type condition. This has come about from repeated working of soft vibes as they do create a fair amount of water pressure. So I have dropped to a lighter plastic with less water resistance. The GULP plastics have been ideal for this. They are smaller, lighter and flick through the water with minimal effort. I have used several different types and colours, and all have accounted for fish. I prefer to use a TT-lures jig head with a weight to match the current and depth. A 3in GULP shrimp matches pretty well to a 2/0 HeadlockZ, and the 1/6th weight has been about right in most conditions. But Z-man's, Squidgies and Atomic lures will all work. You must have confidence in the lure, and be active in the way it worked. Think like a fish, picture what that lure is doing on the end of the line and make sure you are imparting an action that will attract the attention of the fish. Continue to make casts well forward of the boat, fanning each cast out up to about 20 degrees to either side. Cleaveland Bay is not the only location where this technique will work. Halifax and Bowling Green Bay also have good structure in the deeper water. 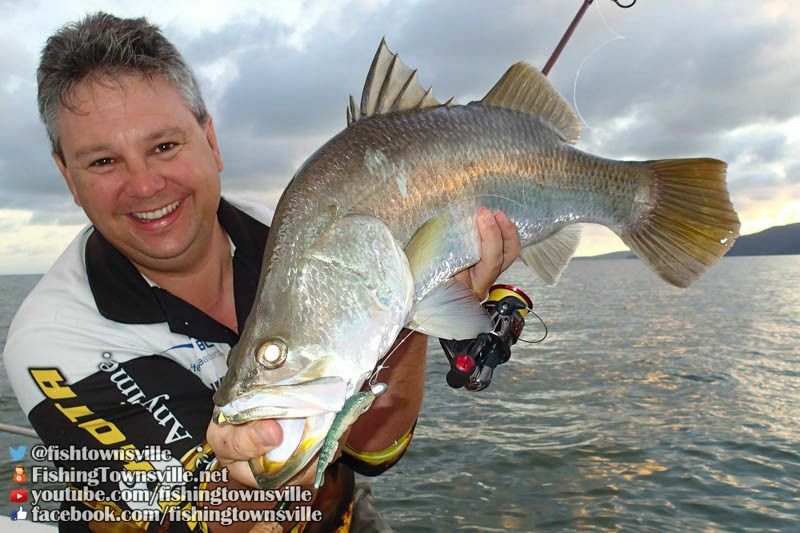 Deep outside bends, rockbars and deep timber inside creeks can also be fished the same way. 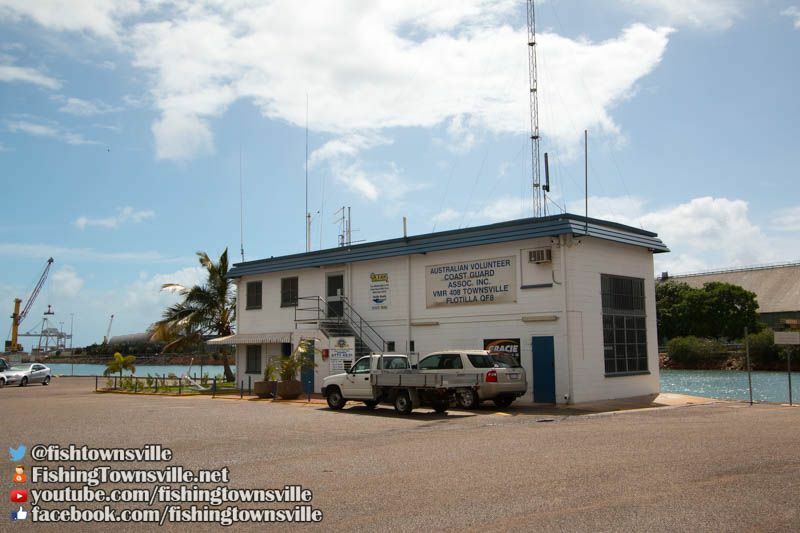 The well known Coast Guard ramp is the primary launching facility that services the Townsville region. The CG ramp is located on Sir Leslie Thiess Drive in the middle of the city. It is easily located by heading toward the Casino. Full details are in the video below. 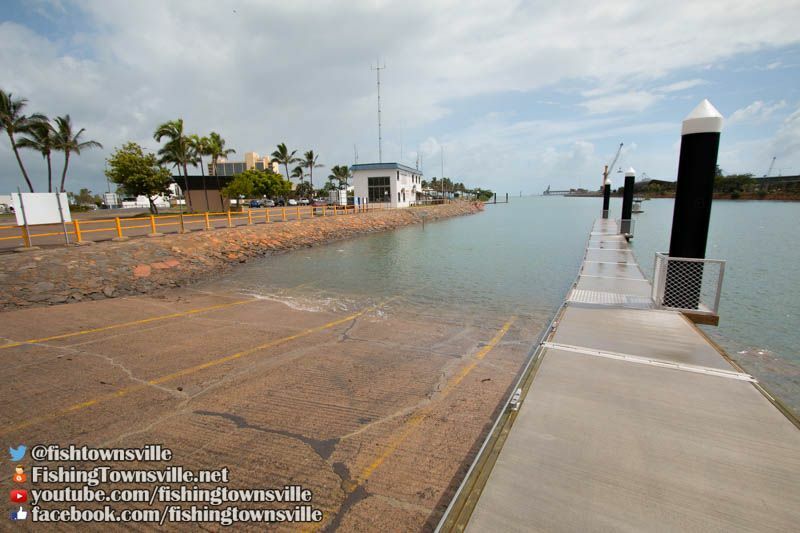 This ramp is currently Townsville's only launch site suitable for all tide ocean access for larger offshore vessels. There are two separate 3 lane ramps here. 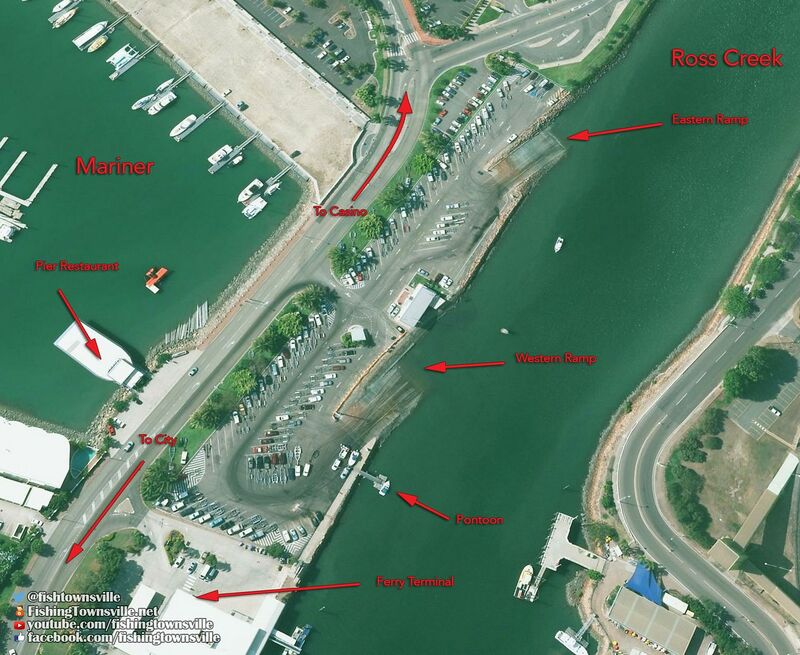 For convenience they will be referred to as the Eastern ramp (to the ocean side) and Western ramp (to the town side). 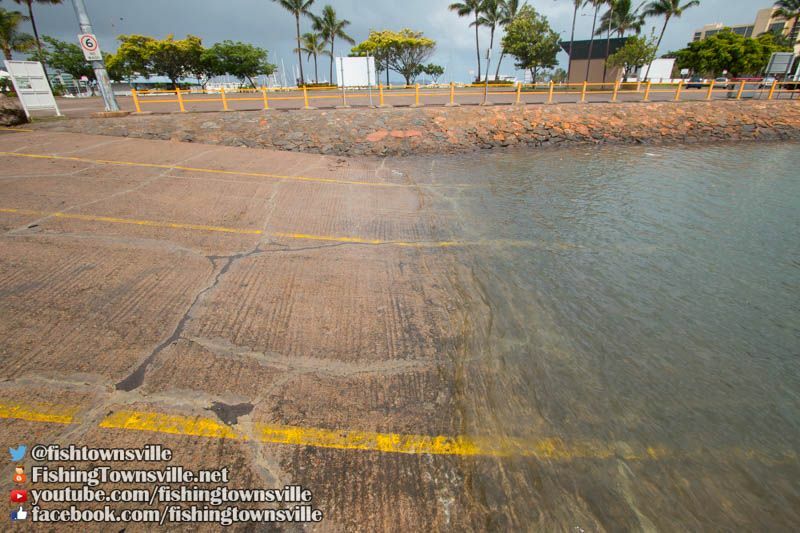 While both ramps are considered 'all tide', they are slippery on extreme low tide, and on the lowest tides of the year the bottom of the ramp is exposed. There is deep water ocean access directly into the bay, with bar to cross like many southern areas. 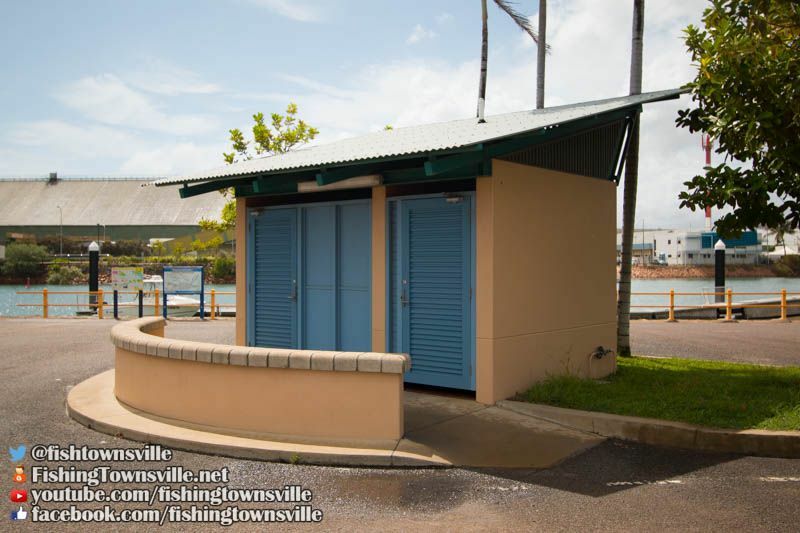 There are public toilets on location that are always fairly clean. There is no was down facility available and, like most northern ramps, no cleaning tables. However, good floating walkway pontoons now service both ramps. While one lane was sacrificed on each ramp to allow for this addition, launching is now much safer and easier. There are a number of trailer parks available, but for may years now this has been inadequate for Townsvilles boating population. On most weekends with light winds forecast the ramp parking is full by as early as 6am. Public holidays are a nightmare! Boaties are left with little option, park illegally on the grassed area by the road in, or turn around and go home. Its best to get to the ramp very early to secure a park, although this is sometimes not enough. An alternate launch site does exist on Ross River. However facilities are not as suitable for bigger boats, and navigating to the mouth is tide dependant to some extent. The Eastern ramp in generally the better ramp to use. Its in good condition and tends to be less slippery. It is also usable on a lower tide than the Western ramp. The ramp is steeper at the bottom end, allowing launch and retrieve on a low tide while keeping the car a little higher on the dry section of ramp. The downfall is that this ramp is un-lit. Parking at the Eastern ramp is also more difficult on weekdays as it is open to normal cars parking. This was done to allow people to park who are going to the Island from the nearby ferry terminal. But they don't need to pay! So in actual fact, our trailer registrations pay for their parking. On the odd occasion when its really good weather mid week boaties can't find a park because its full of single cars going on the ferry. 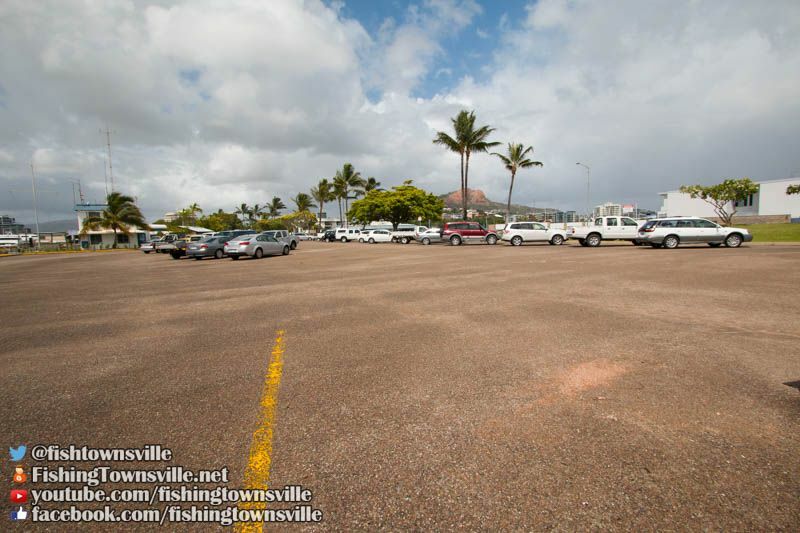 Its a very touchy topic in Townsville, as we do often end up in situations where boaties paying full registration fees are unable to park and get on the water due to legally parked single cars. 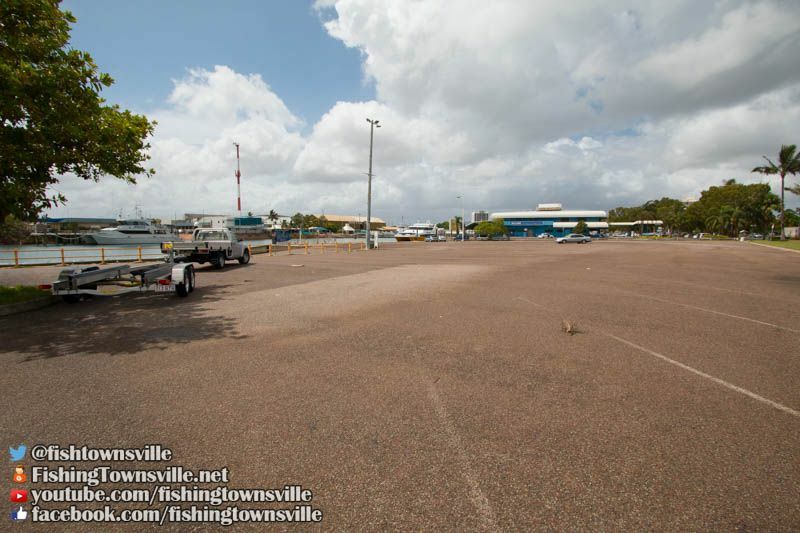 There are also occasions where events at the Townsville Entertainment Centre cause the entire facility to be closed off for parking. The upside of this is the Coast Guard raises some much needed funds through parking fees. The Western ramp tends to be the most popular one. It will be the one with the bigger queues. The main reasons being the lights. It was also the one closest to the only pontoon available. But now floating walkway pontoons service both ramps this might even things up a little. But old habits die hard! The Western ramp is not as good at low tide. It gets slippery and has a sudden drop off at the end. Even with low tides that see the bottom of the ramp almost out of the water, the Eastern ramp is still generally usable. But take care and check first. Both ramps are reasonably protected from the wind. NE winds will come down the channel, but thats usually manageable. The main concern here is boat traffic. Especially the ferries, and especially so for the car ferry! It is recommended that you want until the car ferry passes before trying to drive onto a trailer. The car ferry draws a large volume of water! As it approaches you will see the water drawn off the ramp. Its nothing to see the water drop by a foot. And then it surges back again as the ferry passes. You don't want to be trying to drive a boat onto a trailer when that happens. 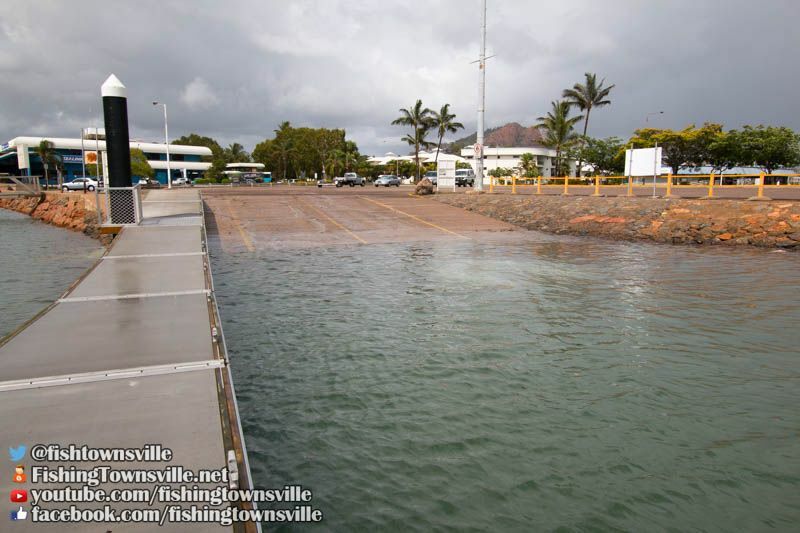 Its also a good idea to give partners and young kids a hand holding the boat while the ferry passes or they will find it hard to hold a boat on the ramp as it can get sucked out quite strongly. Given the addition of the floating pontoons, this is a pretty good ramp to use. People often launch boats up to 25foot with no problems. 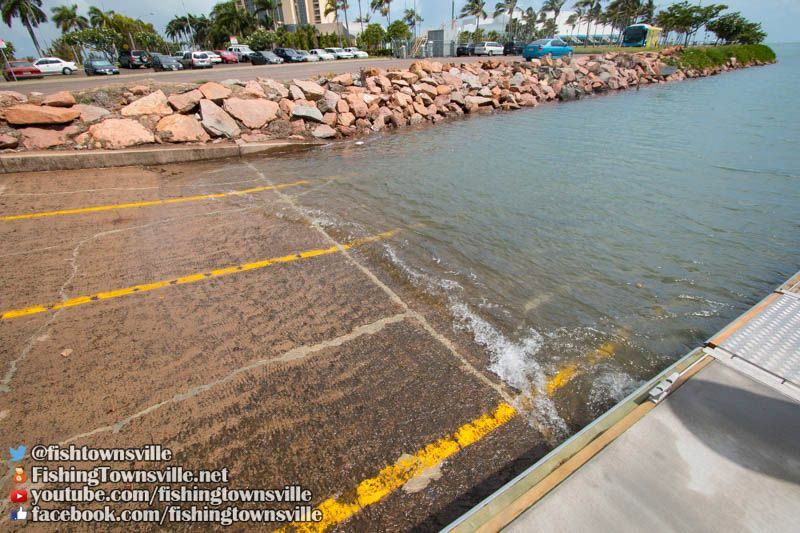 The only issue is with parking, so just watch it at busy times and at very low tides. Well the last two weekends in a row have had light winds forecast that did not eventuate. 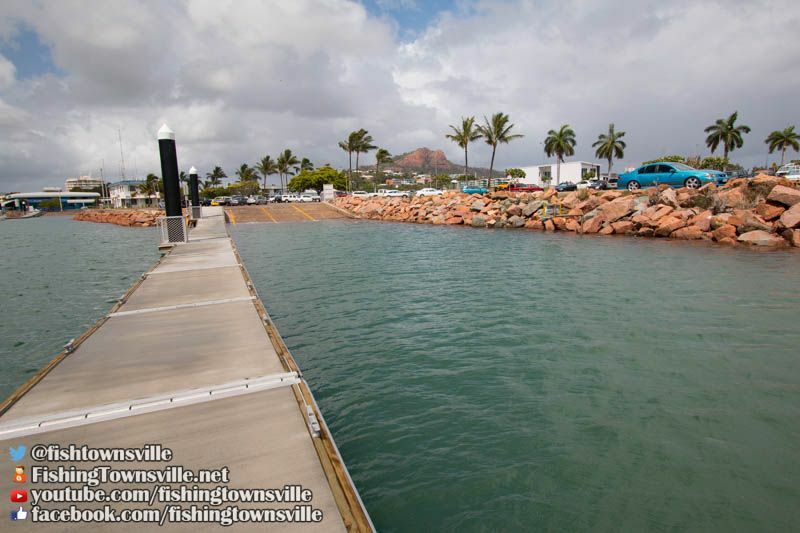 Northerly winds and Townsville do not go well together! The Cleveland Bay actually faces more North than East, providing little protection from those Northerly winds. Both last Sunday and yesterday I had planned to get out into Halifax Bay and wide of Rattlesnake to chase some bigger offshore fish. But both times the wind at the mouth of the harbour has kept us in close. Apparently wide of the island conditions have been much better, but its a long hard slog through the chop to find out. Especially with the kids on board. 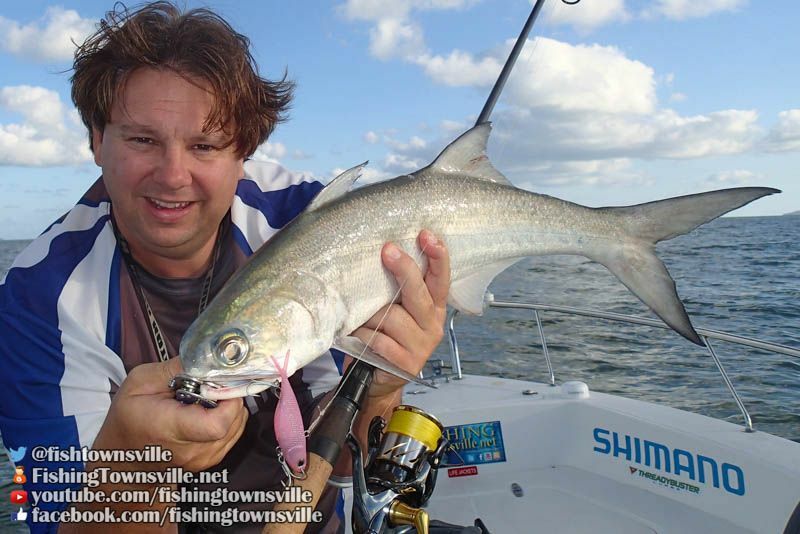 But we have still managed to get in a couple of good sessions on smaller fish in the bay. Last Sunday I had Tania and the kids on the water and we managed to put together a good back of solid Blue Salmon. The biggest of which went 76cm. We also managed the usually assortment of smaller Trevalley and Grunter. 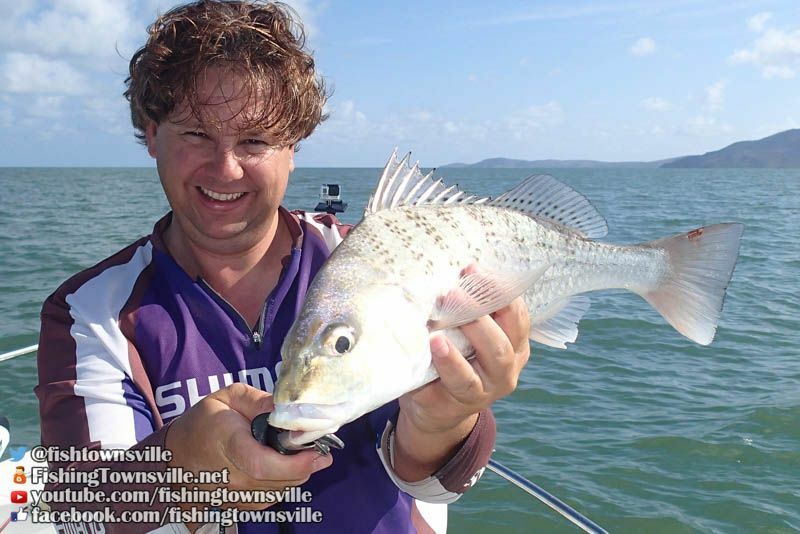 The majority of the fish fell victim to the trusty Threadybuster soft vibe, though I did have the kids flicking around a Gulp Prawn on a small jig head for a while. 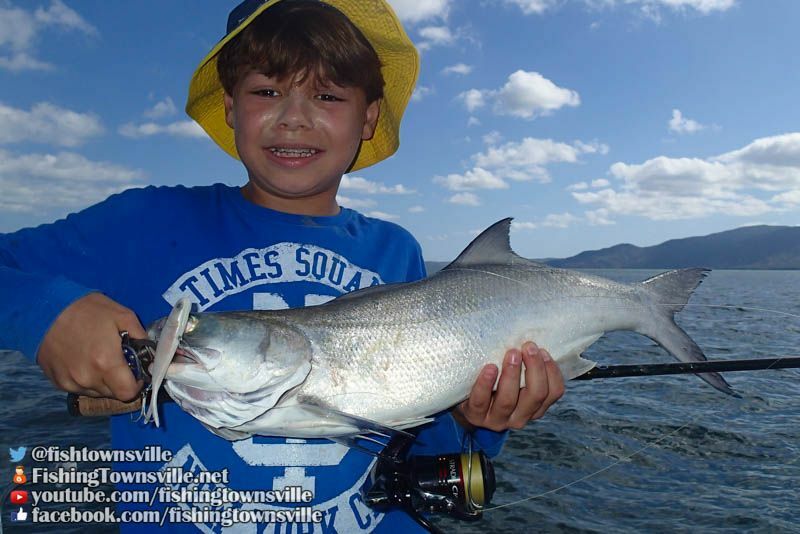 Two other silver fish in the mid 60's rage were caught and released, including one Sebastian caught all on his own. This makes Sebastian's first at a legal size. Then yesterday I took Mark, a mate from work, for a run. Again the plan was to run wide, but it was very messy in the bay. 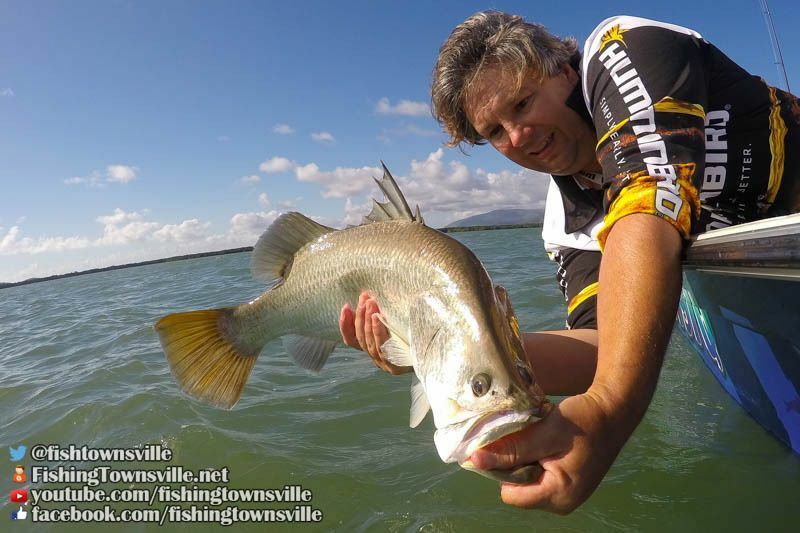 So after a very wet ride we managed to find somewhere that wan't too bad and proceeded to catch fish after fish. At times it was quite literally a fish a cast! Initially both Mark and I were using Threadybusters, and they were very successful. But for something different I decided to tie on a Gulp Prawn like the kids were using the week before. I put this on a 1/6oz TT-Lures jig head. It was very successful, with a lot of fish hitting the sinking plastic before it was even jigged up off the bottom. However, it did manage to attract a lot of small fish that might have been selected out with the Thready. Still, good fun for kids and on light line. In the end we put a couple of Salmon in the eski as well as 4 Grunter and a Fingermark. I have not run the GoPro's for quite a while, and with a 3rd on order for Christmas I though I really should get them out again. So here is a bit of footage from yesterday.